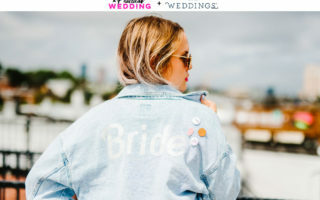 Why Not Plan a Surprise Wedding? After a while of working in weddings you begin to realize that something… special… happens to your loved ones when you tell them you’re getting married. They invite people off the guest list. They try to buy dresses you don’t want. They want to know if you’re keeping your name. In short, there are LOTS of opinions going around before anything even starts to happen. 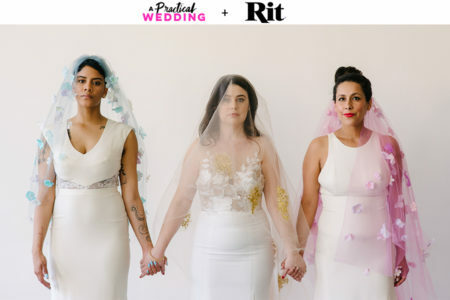 But what if, magically, you could get everyone together in a beautiful location, and wear the fancy clothes you want to wear, and have the ceremony… without anyone knowing they’re going to a wedding? What if you could just socially skip the whole awkward “engagement” state? The wedding happened on the eve of my thirtieth birthday. Sean had everyone believe they were coming for a surprise birthday but it was actually our wedding that we had secretly been planning for a year! The only people that knew were some out of town guests that flew in (which ended up being a surprise in itself) and my good friend (and wedding planner) Christie. As the surprise was slowly revealed to people throughout the day (starting with the best man and bride’s parents), the energy levels began to rise—until the full plan unfolded on the rooftop of Chambar! The vibe was truly electric! We said our I do’s in front of our family and friends and then began explaining how we had secretly been engaged for a year. And of course, they rounded out the night with copious dancing. And y’all, I can’t be a hundred percent sure, but nobody looks mad. Just saying.